If you live in the UK you can listen to my many opinions live, from 1:15 – 2:00pm on Friday, 12 Novermber, orhere, after the fact. This week’s Audible pick is And Did Those Feet: Walking through 200 years of British and Irish History written by Charlie Conelly, narrated by David Thorpe. I also mentioned Watching the English, by Kate Fox, the definitive work on that elusive quality known as “Englishness”. The lovely autumn leaf in the header is from Holiday Doodles, this month’s free font from Outside-the-Line.com. PS: You should totally use Yultide Doodles to make Christmas cards this year. Just saying. William B Irvine writes about his modern day quest to become a Stoic here, and here and here. His book is available on Amazon.US | UK. Please let me see your shining face (or image of your choice) with a Globally Recognized Avatar. KniTunes were provided by, used with the permission of and written by Billy Bragg. This is a test to see if my knitting wombat gravatar worked. Of course, I loved the podcast. I, too, have a dream house that plays around in my brain and I wonder why, if we can design knitting, can’t we just build a house. Isn’t it just all a case of “measure twice, cut once”? I mean, I do that in quilting all the time. If my Gravatar works, this is a special design made for me which I just love to pieces. And if it doesn’t work, you can just pretend you see a knitting wombat…until I get it to work. Thank you for another relaxed afternoon! I *LOVE* the Billy Bragg version of Jerusalem… and I am downloading the audio book ‘and did those feet’ right now on your reccommendation! 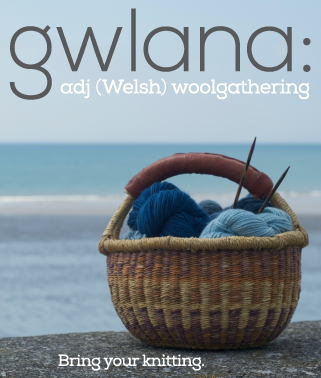 I too love the land, and find it a major inspiration for knitting in particular. You’ve inspired and encouraged me. I’ve even started my own podcast. Thank You for everything! Ok then is my gravatar working? I think it’s really clever how all these programs talk to each other – but a little scary as well. I am SO glad you’re back. I completely understand your stance on the perfectionism thing and how it bogs us down and we end up frozen. My opinion to you is….just do it….you have the ability to soothe and inspire with your storytelling ability, your voice and your content. Even if you cut the music and just spoke for, say, 15 mins. a week, that would be WONDERFUL!!! Keep going! You are the goddess of poscasts, the founding mother!! I miss you! Thanks for the link to the gravatar site. I have been wondering how people got their personal image on every comment on every blog — now I can be one of the kewl kids, too. I grabbed WAtching the English from my public library…all the way out hre in San Francisco…cant wait to start reading it! It is so great to have you back! I have missed you so! Can’t wait to find out how you’ll inspire me next. I am so happy you are back. I have very much missed your wonderful podcast which I enjoy so much. I think I also love listening in part because even after 30 years of living over here in Western Australia I still long for my homeland – hiraeth – I understand this very well. So, listening to you talk about your experiences over there – walks, dyeing, Tintagel, Billy Bragg – is a special treat. Thank you Brenda and I am off to listen to ‘And Did Those Feet’. You might also like the ‘Caught By The River’ blog which has a great mix of books, music, fishing, 60’s magazines, and so on…. I tried out the Gravar thing, but my picture might look too small. We’ll see how it goes. I love, as always, how honest you are in your podcast. And I love coming on walks in the woods with you. Thanks for another lovely podcast. I checked Itunes, and my heart lifted to see that you had a new podcast. 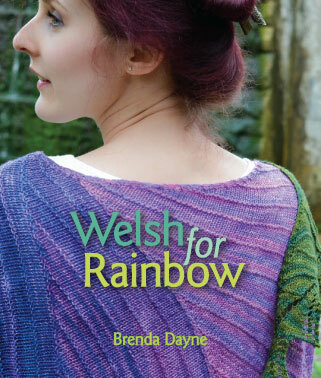 An hour to knit, and your podcast to listen to-What luck! I too enjoy your honest and poetic view of the world. I have my own home which I did not build, but you inspire me to make a difference in the view that is framed through the window. Thank you so much for helping me remember that so much is possible, with vision. By the way, I am thrilled that you’re back and online again. I’ve been following you on twitter, hoping that you’d be back. While I did unsubscribe for a little while, it was only because my computer developed many multiple personalities and needed to be put down. I’ve always kept your episodes on my external hardrive. My husband listens, as I meantioned before, and encourages me to keep up the podcast and the knitting. I often wonder why he puts up with a bedroom filled with yarn, roving, needles and hooks, and a couple hundred books, mostly on knitting and recovery. Thanks again for everything you do. This is a test also to see if the gravatar works as well as to comment on your podcast this week. It seems interesting that we have such yearnings to go back to our roots – that of being in touch with the land and the wonderful bounty it provides us (including the desire to build). I know many folks like us and the core of the yearning remains the same – must be some kind of genetic imprint that time and culture has not erased. It has led me to seek out and learn all kinds of survival techniques including being able to grow and learn the process to feed and clothe myself and my family. Whenever someone comments about my being a renaissance woman (because I am accomplished in art, music, math, science, medicine, and textiles) I just respond with how I will be prepared to take to the hills and still survive no matter what happens. Hmmmmmmm another genetic imprint???? Thanks, Brenda. As always, enjoyed your wonderful words and outlooks on life and living. My undergraduate degree is in architecture and your section on keeping the faith hit home (pun intended)…and sounded really familiar to my own musings. FYI, sadly “And did These Feet” in not available to a US Audible audience…licencing stuff. Oh, well. Will have too look for it next time I get across the Atlantic…hope it is still in print when I do. Keep on filling our lives with your voice. I rather enjoyed your piece about the landscape, future dreams and, yet, trying to enjoy the space for what it presently is. It is such fun when new spaces open up in what seems like a world we know so well. Also, I’m inspired to think about stoicism in an entirely new light. Marching off to look up Irvine’s book now. Thanks! Thanks for another great episode Brenda! Thanks for your wonderful podcast, Brenda! I’m so glad you’re back – I really missed listening to it. Thanks for the Billy/Kirsty fest on this week’s show Brenda. I really needed that. Jerusalem is as wonderful as ever. Haven’t played it for a long time. Great show! You must keep the faith! I too dreamed of building my own house. I dreamed and planed for years. The dream came true! I designed and built it, and you can too. Just keep looking for a way. Brenda I’m so glad you are back – in whatever form you choose to present to usw. I am grateful that you share yourself, time and love of all things fibery. . My pod has been acting up and sometimes it’s plays a little fast than I would like – but not to miss an episode – I listen anyway, and in fact while I am out walking the dog the increased talking make us toddle a long a little faster! I just want you to know you sound great at any speed! P.S. Sorted by proximity to me: Harvard, Vancouver Public Library, National Library of Ireland. Because it’s so much easier for me to get a book from Dublin than from London? Your podcast came at a very good time for me. I spent this past Sunday pining away about the dream house I may or may not ever build. The urge to create the perfect nest is very strong n me and I’m struggling to decide at what cost the dream should be fulfilled. I’m trying to maintain some balance so your thoughts on the subject were timely and greatly appreciated. I’m so glad you are back podcasting. I knew you always liked us best. I’ve got to get back to knitting. I have Thanksgiving as well as Christmas knitting to complete. The avatar will have to wait. BBC radio programs are usually available to those of us living outside of the UK. It’s only the television iPlayer that is restricted to UK viewers. I’m looking forward to hearing you on the radio, and happy to hear you podcasting again! I’m so glad to have you back in my life….thank you for the time you spend to bring ME so much pleasure. The sound of your voice, the way you speak about your craft(s), the fact that I feel more “normal” (?) insofar as I tend ALWAYS to look at a house and wonder what it would be like to live there and look at a storefront and ponder if it would meet my needs (should I ever “need” a storefront someday!). WHOA!! It did it automatically….that is AMAZING!! An iphone app is all well and good, but what about the app for android? Thanks for another great cast & the info about the book! I’m so happy you are back!!! I’m not one to write comments to podcasters, but I am trying to stop lurking and send love to my favorites!! SO Love Love Love!! I’m still catching up on all your new episodes but so far I really like the new format. I don’t think you need some grand plan, I just love hearing your thoughts, opinions and your tales of knitting (and other) – both good and bad. I’m a faithful listener. And I’m glad you are all healed up. I have not listened to this exact episode yet. I’ll comment on it specifically after I’ve listened. Thanks for the wonderful work you do producing all your show!! I guess I’m a stoic by your definition. I work in palliative care, so I guess I feel the taste of the loss of dreams. Casting on a sweater is an act of faith. I go next week to collect an unfinished one from a dear knitting “uncle” who didn’t make it to the cast off. So anyway, I’m rambling. Thanks for podcasting, please know your appreciated. Delighted to have you back. I listened to the three new episodes today. I heard when you said many people had unsubscribed over the Summer. Well…iTunes unsubscribed me and WOULD NOT let me subscribe again no matter what I did. I have the RSS in Google Reader and that is how I knew you had new podcasts on. ITunes v11 let me subscribe again with no problem. I wonder if that happened to other people. Over the Summer ITunes had several update releases and finally V11 came on. Just thought you would like to know that. Again, fun to have you back! Brenda! What an episode! I think it just became my favorite. As soon as you said “And Did Those Feet,” I thought, “I wonder if she knows where that phrase is from?” And then you mentioned the William Blake poem. And then you mentioned the song. And THEN you PLAYED ONLY MY FAVORITE VERSION OF THAT SONG! (next in line is the one they play in the background in “Chariots of Fire”). I don’t know why, but that song gets me in so many ways. Loved this episode. Love the goosebumpy-teary feeling I get any time I listen to a Billy Bragg song or, for that matter, the lovely voice of the greatly missed Kirsty MacColl. I’d never heard her version of “A New England,” only Billy’s. Thank you for such a wonderful ‘trip’ to your neighborhood. AnnDS (not on the right computer to put up a Gravatar, but I am AnnDS on Ravelry). So loved this episode and am finding the shorter ones a lot easier to access and more intimate. When I started listening to this episode, I wondered where you were going with your rambles. Couldn’t believe the subject was so intune with what we are going through as a family at the moment – desperately trying to move, but waiting for all kinds of other people to enable us to access finance. Thanks for reminding me that to hold the dream is more important. I downloaded ‘And did those feet’ and have been really enjoying listening to it whilst knitting in the mornings! I love that the podcasts just keep coming. Before I would see one appear in my iTunes and I’d save it for a day I needed an extra push to go out and exercise. Now I can enjoy them on my commute. I love it. 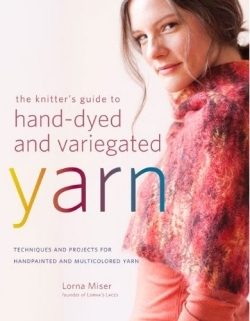 There were so many tempting books mentioned that I felt like I was listening to Craftlit! Thanks for another great show. This is the first reference I’ve seen or heard to the Lorna Miser book, which I promptly ordered from Amazon. It arrived yesterday. Thank you, thank you! I’ve only thumbed through it as of yet, but I am really impressed with its scope. Lots to learn from this book! I am so enjoying your return to podcasting. Keep ’em coming!!! And to let you know how disappointed I was to come home after Best Holiday in Years and I’d missed your radio appearance. But you are here on my Mac, so it’s not too bad, really. I’ve only just recently discovered your podcast and am working my way through all of them one by one on my work commute. Am really enjoying them and decided to comment on this episode because thanks to you, I heard about the Lorna Miser book which I got a copy of and lightbulbs are going off in my brain which is full of excitement about all the possibilities for finally doing something with my stash of variegated yarns that I can actually live with.